enclosed roof to keep the sun and rain off, plus bright colours, ball pit and slide, this castle has a lot to offer. 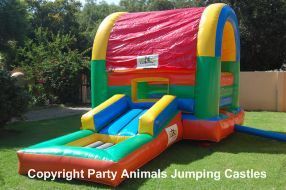 Best of all, the kids just love it and that turns any party or event into a success. Suitable for both genders and a wide range of ages.